This is my desktop for the month of July 2006. As you can tell I don't like stuff on my desktop, clean and simple looks nice. 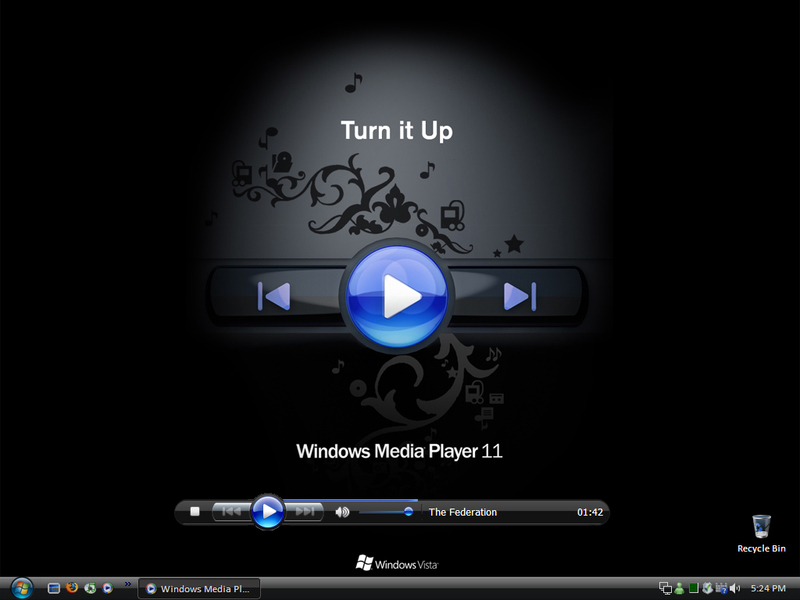 Microsoft Media Player Wallpaper Set. Have not seen those wallpapers anywhere. Where did you get them? It has been a while that I got the wallpaper and I don't remember where I got it. Try google and search for WMP11 wallpaper.